Every week, we’ll bring you a must-hear track from the Le Guess Who? 2018 line-up. 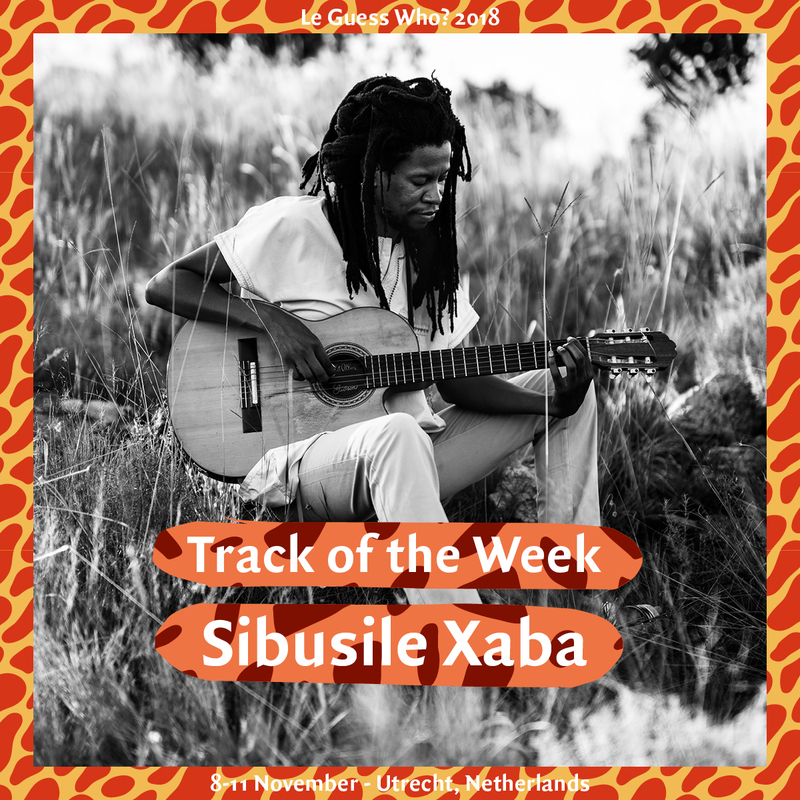 This week, we offer you an extraordinary mix of bossa nova, flamenco, jazz and prog folk, courtesy of South-Africa's Sibusile Xaba. With a vocal style that is part dreamscaping and part ancestral invocation, Xaba does not sing plainly, but inwardly declaims prophesies. Combined with a guitar style that is rooted in expressive picking, he takes the fundamentals from mentors such as Madala Kunene and Dr Philip Tabane and imbues these with a mythology and improvisational intensity all of his own. On 'Open Letter to Adoniah', Xaba pays tribute to his mother as well as addresses his daughter. Xaba himself states: "When you look at it from the perspective of my child, this is what I want her to know of her dad and what he was thinking. But you might also look at it from the perspective of the Almighty." Sibusile Xaba’s performance at Le Guess Who? 2018 is curated by Shabaka Hutchings. This curated program also features King Ayisoba, BCUC, Kadri Gopalnath, DJ Noss, Paddy Steer, Orchestra of Spheres, Ill Considered, Kojey Radical and many more.